Trees serve many wonderful purposes. They provide shade for your yard, give your kids a place to play and they even bear fruit during certain seasons. They can certainly become sentimental assets to any home. But with growth and age comes maintenance and upkeep. Just like anything else in your yard, trees need TLC to thrive. My Backyard Landscape Enhancements is the trusted tree service Peoria IL counts on year after year. We can fix any issues you may be having and return your tree to its natural healthy state. My Backyard Landscape Enhancements approaches all tree service tasks with the utmost care and respect. 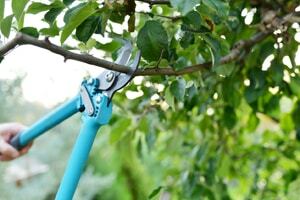 All too often, we have seen harmful pruning, fertilization and mulching practices that can be detrimental or deadly to a tree. As Certified Tree Workers and Certified Arborists, we are skilled in the latest tree care practices and are committed to the health of all trees, as well as the safety of your home, property and family. To learn more about our tree service in East Peoria IL, please contact us at 309-657-0571. We serve all of Peoria, East Peoria, Peoria Heights, Chillicothe, Dunlap and surrounding areas.